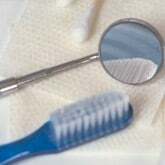 At DentalPlans.com, we make it simple for you to find a dentist in Kansas City, MO in our extensive dentist directory. Simply type in your ZIP code to compare the discount dental plans in Kansas City and view a list of participating dentists. Join the plan that best fits your needs and take advantage of dental care discounts at dentists like Dr. Shelby L Applegate. After signing up to the right discount dental plan, visit Dr. Shelby L Applegate or any other participating Kansas City dentist to get discounts on General Dentistry and more. At DentalPlans.com, our discount dental plans start at only $79.95 per year and will save you money with dental care discounts on services like General Dentistry. If you are looking for an affordable dentist in your area, DentalPlans.com features more than 100,000 participating dentist listings in combined networks, including many general dentists, orthodontists, periodontists, oral surgeons, and more. So if you require getting cavities filled, orthodontics, dental implants, or any other dental care treatments, we feature a wide selection of many dental care specialists and dentists in Kansas City, MO.